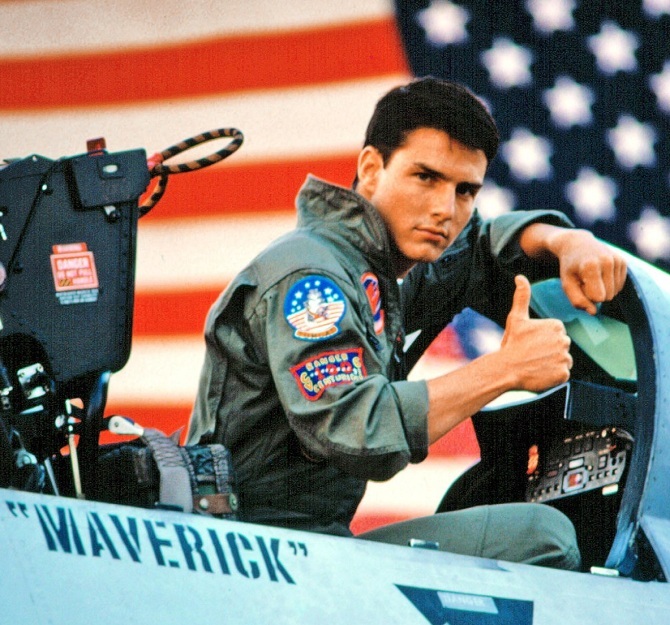 Can Top Gun 2 -- now officially in the works -- even hope to live up to the original? Let's all just take moment for Playing with the Boys. Maverick, Goose and Iceman still do it for us. When leather jackets and aviators meet F-14 Tomcats and the Kawasaki GPZ 900R. Maverick and Goose. Iceman and Slider. And that last hint of Maverick and Iceman. Has he ever looked hotter? Brad Pitt & Shah Rukh Khan: Picture abhi baki hai!